Claire Durrett Johnson, 94, of Spotsylvania County, died on Thursday, February 7, 2019 at Hughes Home in Fredericksburg. Claire was born on September 21, 1924 to parents Robert and Annie Ashley Durrett. Claire was a loving mother to her three sons and their families. She retired from VDOT after more than 38 years. Claire was a member of Zoan Baptist Church and several civic organizations including Elks Ladies Auxiliary, Loyal Order of the Moose, and Fraternal Order of Eagles. Her favorite past time was attending local dances with friend, Bessie Kincer. Claire loved cooking and baking, especially at holidays when the extended family would gather together at her home. Survivors include her sons Robert M. Johnson (Pat), R. Wayne Johnson (Lois), and Gary Johnson (Connie), all of Spotsylvania; four grandchildren Selena, Jessica, R.W., and Lyndsay Johnson; and several great-grandchildren. She was preceded in death by her husband, Ralph M. Johnson, Jr., former Spotsylvania County Sheriff. The family will receive friends from 6 to 8 p.m. on Monday, February 11 at Covenant Funeral Service, Fredericksburg. A service will be held at 10 a.m. on Tuesday, February 12 at the funeral home with the Rev. Jack A. Marcom officiating. Interment will follow the service in Oak Hill Cemetery. Claire's family would like to extend a special thank you to the staff at Hughes Home for their loving care. Donations may be made in Claire's memory to Mary Washington Hospice. Online guestbook at covenantfuneralservice.com. 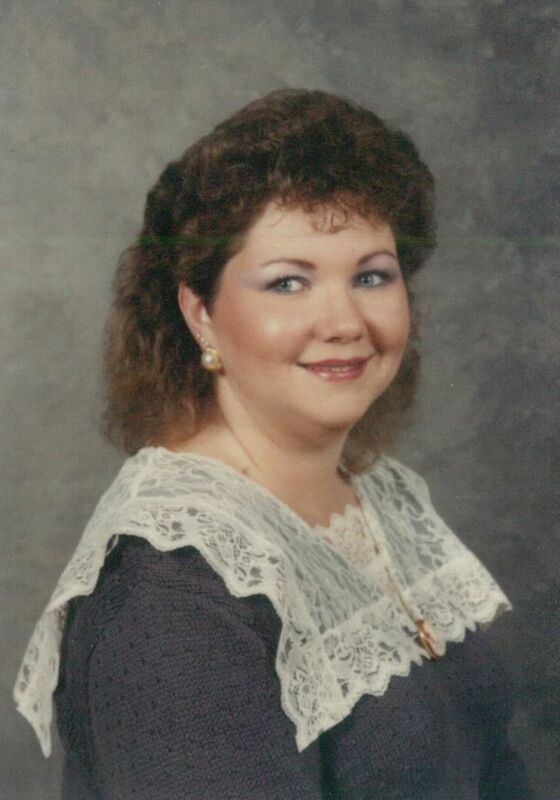 Lauren S. Dorman, 57, of Richmond, died Friday, February 8, 2019 at Lake Taylor Rehabilitation Hospital in Norfolk with her family by her side. Lauren graduated from Stafford High School and Bluefield College. She loved dragonflies and enjoyed her collection of jewelry. Survivors include her husband, Paul Dorman; her son, Peter Bailey and his fiancée Haley Garland; stepchildren, Holden Dorman, Elijah Dorman, and Noah Dorman; her parents, Lauman and Frances Schooler; a special aunt, Nancy Kail; and numerous uncles and cousins. Lauren was preceded in death by her son, Daniel Bailey; her sister and brother-in-law, Lynne and Darryl Delano; and her aunt, Arnita Graham. The family will receive friends from 6 to 8 p.m. on Monday, February 11 at Covenant Funeral Service, Fredericksburg. A service will be held at 2 p.m. on Tuesday, February 12 at the funeral home. Burial will follow in Oak Hill Cemetery. In lieu of flowers, memorial donations may be made to The ALS Association DC/MD/VA Chapter, 30 W. Gude Dr., Rockville, MD 20850. Online guestbook at covenantfuneralservice.com. Louisa Marjorie Smalls, 85, of Stafford died February 1, 2019 at Greenville Assisted Living home. Louisa was born on February 18, 1933 to Paul and Hulda West in Manhattan, New York. She graduated from Washington Irving High School in Manhattan, N.Y. After high school she attended the City College of New York for two years. Survivors include her five children, Cheryl Asher, Sicklerville, N.J., Krishna Stevens (Bret), Stafford, Luana Hilke (Rick), Richmond, Paul Smalls (Kinyta), Wenonah, N.J., and Karen Thomas (John), Northridge, Calif.; grandchildren Erica Eberle (Chris), Ryan Asher, Jocelyn and Lauren Stevens, Michael Thomas, Spencer and Nicolette Hilke, and Brandon Thomas; great-grandson Reece Eberle; two brothers Paul West (Mariko) and Eugene West; and numerous nieces, nephews and cousins. She was preceded in death by her parents, Paul and Hulda West; husband, Moses Smalls Sr.; brother, Charles Trelawney West; and son, Moses Smalls Jr. A service will be held at 10 a.m. on Friday, February 15 at Prince of Peace Lutheran Church in Marlton, New Jersey. Online guestbook at covenantfuneralservice.com. Martha U. Gallimore, 85, ran into the arms of her Lord and Savior Jesus Christ on Friday, February 8, 2019, surrounded by her loving family at Mary Washington Hospital. Born in Galax, VA, Martha was a long time member of Spotswood Baptist Church and retired from a career in real estate sales and managing her husband's business, Charles Construction. Martha adored her family and is so thankful that she will see them again one day. Martha is survived by her husband of 61 years, Charles L. Gallimore, her daughter Lisa G. Nicholls (John), her granddaughter Sophia L. Nicholls, 3 nephews and 1 niece. A celebration service will be held on Monday, February 11, 2019 at 2pm at Covenant Funeral Service (Fredericksburg) with visitation one hour before the service. Burial will be at Sunset Memorial Gardens. In lieu of flowers, donations may be made to Spotswood Baptist Church Generation's Project 4009 Lafayette Blvd., Fredericksburg, VA 22408. 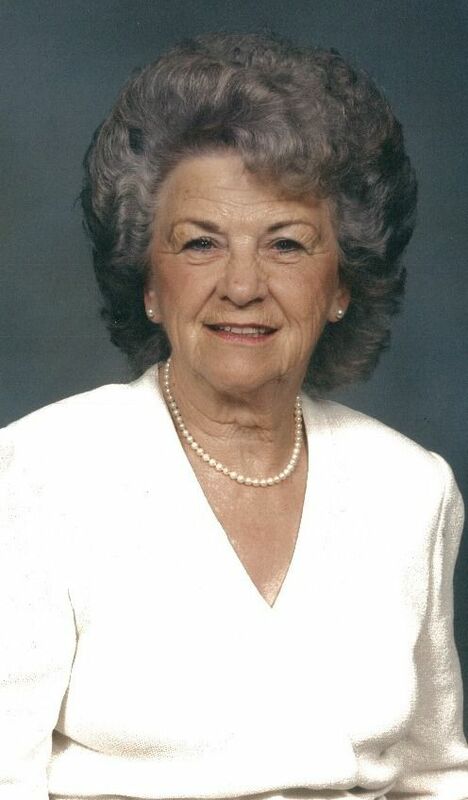 Mildred Wilt Weatherford, 95, of Locust Grove, passed away at home with hospice care on Wednesday, February 6, 2019. Mildred was born in Mountain Lake Park, Garrett County, Md. on April 28, 1923 to Delbert A. and Bertha May (Lee) Wilt. She was employed by the Department of Defense for 33 years. Survivors include her two daughters, Brenda Weatherford Hagan (Robert) and Paula Weatherford Kilby; four grandchildren Candice Morgan Hoffman (William), Kevin D. Morgan, Amber N. Morgan (Ted Mason), and Jacob C. Kilby (Dana); nieces and nephews Joyce C. Miller, Vickie M. Chisholm, Gail Smith, James Chisholm, Dennis Chisholm, Debra Wilt Selman, and Michael Wilt; and sister-in-law Betty Weatherford Atkinson. She was preceded in death by her husband, George Ira Weatherford who passed on April 19, 1999, her brothers Walter Leo Wilt and Lester C. Wilt, and sister Leona Wilt Chisolm. A service will be held at noon on Sunday, February 24 at Covenant Funeral Service Fredericksburg. Interment will be private. Online guestbook at covenantfuneralservice.com. Nancy K. Collett, 89, of Fredericksburg, passed away Friday, February 8, 2019 at Falls Run Nursing and Rehabilitation Center. Survivors include her children, Elaine Gopshes (Chris), James Keel (Donna), and Timothy Keel (Lynette); eight grandchildren; and fifteen great-grandchildren. She was preceded in death by her husband, David S. Collett. The family will receive friends from 2 to 4 p.m. and from 6 to 8 p.m. on Sunday, February 10 at Covenant Funeral Service, Fredericksburg. A service will be held at 10 a.m. on Monday, February 11 at Grace United Methodist Church, 13056 Elk Ridge Rd, Fredericksburg, Va. 22406. Interment will follow in the church cemetery. In lieu of flowers, donations may be made to Grace United Methodist Church. Online guestbook at covenantfuneralservice.com. Nguyen Thi Minh Xuan (known as Tina to family) departed in peace on Thursday at the age of 51 after a protracted yet valiant five-year fight against cancer, exceeding doctors' expectations and living a rich and quiet life. She is survived by her mother Nguyen Thi Minh Tuyet of Quang Ngai, Vietnam, her father Nguyen Xuan Ngoc of Houston, Texas, her son Nguyen Huyen and son-in-law Casey Lousteau Creel, both of Zurich, Switzerland, and by her cousin Duong Thu Hang (Christina) of Clifton, Virginia. Born in 1967 in Saigon, Vietnam and having to move to different regions of Southern Vietnam during her childhood, Xuan developed a great inner strength, raised by her iron-willed mother to excel in her studies, especially mathematics. This was despite her own mother's humble means, educational background, and rural origins, marred further by war and the near daily threat of American bombing. Life after the war under the new regime proved to be even more difficult. Xuan left Vietnam at the age of 18 to pursue her dreams of a better future in America with little English, a small suitcase, and a mind filled with great ambitions. As she emigrated she met her husband of 20 years, and the young family first arrived in Phoenix before continuing on to Dallas, where her only child was born, and then to Maryland and later Virginia. Despite working and raising her son, she managed to obtain an associate's degree at Montgomery College and then finally a bachelor's in electrical engineering from the University of Maryland, College Park. In 1994, Xuan found work as the sole breadwinner of her family as a software engineer in Dahlgren, and over the years grew to be a brilliant programmer in the defense industry. Her coding skills were difficult to match, as were her talents for mathematics and physics. Despite her meager origins, it was through gumption, patience, intelligence, and hard work that she eventually obtained American citizenship with pride, and bought her beloved home in Fredericksburg. She would later finally obtain a master's degree in mathematics from George Mason University, even after her initial diagnosis of cancer. A woman of simple tastes and with little time for mediocrity, she was nevertheless a fundamentally kindhearted, gracious, and fair-minded person who made a good life for herself and her son in America, helped along the way by strangers, friends, family, and her adopted homeland. She was equally giving in return. During her short but fruitful life, she lovingly tended her garden, and was especially proud of her roses. She was an elegant dancer and greatly enjoyed reading. She took great pleasure in good food, her favorite snacks being dried plums and Vietnamese pudding. She deeply enjoyed her many travels around the world with her son. Xuan remained utterly stoic and admirably stubborn in the face of her disease. A week before she departed, she enjoyed a last shared meal with her son of mango sorbet. She kissed him on her last day on Earth, and some hours later took her final, refreshing breath, in peace. The family wishes to thank her longtime employer Northrop Grumman and its family of employees, particularly for their compassion, in recent years. We also thank her family and friends for their undying love. We thank this country for supporting her over the years in innumerable ways as she progressed from welfare recipient to a proud homeowner and US citizen, with a job that she loved and allowed her to give back to this country. Funeral arrangements will be handled by Mullins and Thompson at their North Stafford home on Monday, February the 11th at 9:30 in the morning, with visitation followed by a Buddhist rite to which all of her friends and former coworkers and their families are warmly invited; a luncheon immediately following the service will be offered as a convivial time of remembrance. She was a spectacular woman, citizen, and mother. I will always love you. Con se mai mai thuong me. Addie Mae Turner, 95, of Colonial Beach passed away on February 5, 2019. She leaves to cherish her memory, two daughters, Maxine Smith and Jean Wilson; and two sisters, Rose Pierce and Diane Johnson. Visitation will be held at Cedell Brooks Funeral Home (Port Royal) on Tuesday, February 12 from 12-4 pm. The funeral service will be held at New Monrovia Baptist Church (Colonial Beach) on Wednesday, February 13 at 12:00 pm. Remains can be viewed two hours prior to the service. Guestbook and full obituary available at brooksfuneralhome.com. Annie Virginia Curtis Alsop, 93, died Thursday, February 7, 2019, at the Blue Ridge Manor where she had lived for the past 8 years. She was born in Spotsylvania County on November 2, 1925 to the late Howard Phillip Curtis and the late Rosa Shelton Curtis In addition she was preceded in death by her step-mother, Allene Curtis; her husband of 63 years, Rev. James Howard Alsop; brothers, Walter Curtis and Robert Curtis; sister, Virgie Howard all of Fredericksburg, VA; one great grandson, James Michael Alsop. She and her husband served the Lord for 50 years of their marriage. When her husband was called into the ministry she went back to work fulltime to support the family while he completed college and seminary. Always willing to move and support Jim, they served a number of church communities finally retiring from Fort Trial Baptist church and making Bassett their home. She is survived by one son, Mike Alsop and wife, Bobbi of Bowling Green; one daughter, Charlotte Krovic and husband, John of Virginia Beach; four grandchildren, Sarah, Michael, Adam and Brian; three great granddaughters, Faire James Krovic, Wynne Lenor Krovic and Everly James Alsop. The family will receive friends Monday, February 11, 2019 from 10:00 to 11:00 AM at the Fort Trial Baptist Church with a memorial service to follow at 11:00 AM with Dr. Joey McNeill officiating. The family suggests that in lieu of flowers, memorial contributions be made to the Fort Trial Baptist Church, 170 Oak Level Road, Stanleytown, VA 24168 or the Amedisys Hospice Care, 5221 Valley Park Drive, Suite 1, Roanoke, VA 24018. Bassett Funeral Service in Bassett, Virginia is serving the Alsop family. It is with heavy hearts that we announce the passing of Kenneth Wayne Cary of Fredericksburg. He passed peacefully at his home on February 6, 2019, at the age of 73. Kenneth was born February 4, 1946, in Alexandria to Clifford and Flora Cary. He was the second of four children, a 1964 graduate of George Washington High School, and a skilled retired, Crane Operator. He was affectionately called Ken or Kenny and was known for his fun and loving personality, heart-warming smile, and his kind and caring spirit. Kenneth leaves behind his four children, Rhonda Fried (Adam) of Fredericksburg, Mark Cary of Lexington, Ky., Susan Wood (Mark) of Spotsylvania, and Sarah Cary of Fredericksburg; two sisters, Anita Marshall (Ted) of Fredericksburg, and Sandra Pearson (Tommy) of Mercersburg, Pa.; ten grandchildren Rachel, Mary, Michael, Samuel, Knight, Odin, Storm, Austin, Taylor and Everett; along with many cousins, nieces, and nephews. He was preceded in death by his parents, Clifford and Flora; as well as his sister, Linda Fithian and his nephew, Roger Fithian of Alexandria. The family will receive visitors from 6 to 8 p.m. on Monday, February 11 at Covenant Funeral Home, Fredericksburg. A celebration of his life will be held at noon on Tuesday, February 12 at the funeral home. Burial will follow in Oak Hill Cemetery. Donations to the charity of your choice may be made in his honor. Condolences may be sent to Covenant Funeral Home. Online guestbook at covenantfuneralservice.com. Leonard W. Creasey, 86, of King George, formerly of Bedford County, passed away February 7, 2019. He retired from the King George County school bus transportation garage and was an avid hunter and fisherman. He is survived by his wife of nearly 60 years, Minnie F. Creasey; six children, Joanne Burton, Leonard J. "Jeff" Creasey, Angela Sawdy (David), Crystal Treadway (Jamie), Wes Creasey and Patrick Creasey (Angie); five siblings, Margaret Holland (Douglas), Fern Hargis (George), Lois Blankenship (Bobbie), Bill Creasey (Rose), Joyce Hawkins; five grandchildren, Emily Wilson, J.D. Treadway, Riley Sawdy, Kendrick Creasey, Jarred Treadway. He is preceded in death by grandchildren, Ryan Sawdy, Tiffany and Brittany Treadway. A funeral service will be held on Monday, February 11, 2019 at 11:00 AM at Storke Funeral Home-Nash and Slaw Chapel, King George, a visitation will be held one hour prior. Burial will follow at Historyland Memorial Park in King George. In lieu of flowers, donations may be made to St. Jude Children's Research Hospital, 501 St. Jude Place, Memphis, TN 38105. Mark T. Stratton, Jacksonville, NC, formerly of St. Benedict, PA and Fredericksburg, VA, went to be with the Lord Feb. 5, 2019 as a result of aoritic dissection. Born Feb. 28, 1949 in Spangler, son of James and Eleanore (Saylor) Stratton, Sr. Preceded in death by parents. Survived by wife, Beth, stepsons Thomas (Lynn), David (Rachel), and grandson Jacob Blockovich, brother James Stratton, Jr. (Janis) Ebensburg Pa,and sister Ruth Ferrence (Edward) Keymar MD. Mark is also survived by Missy and Teddy, their faithful furry companions, who will miss him dearly. Mark was a Vietnam veteran, a graduate of George Mason University, and a retiree of the US Dept of Agriculture.